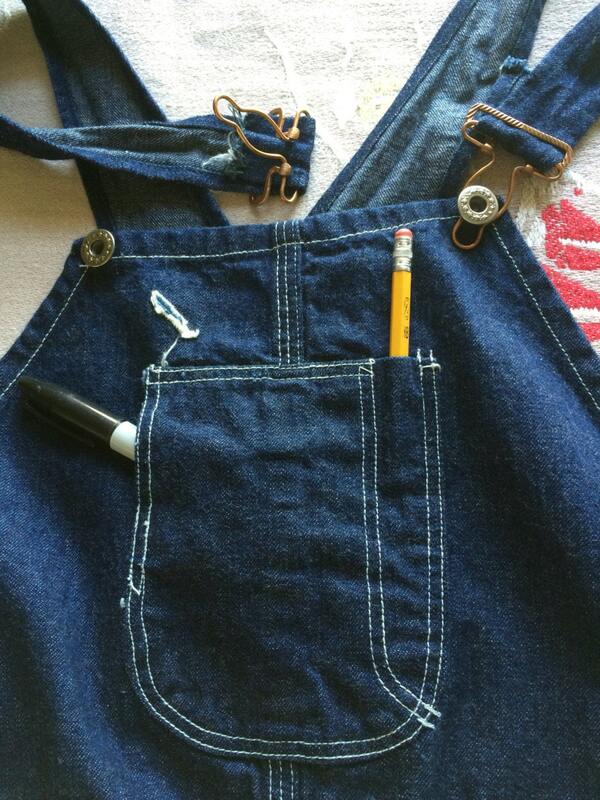 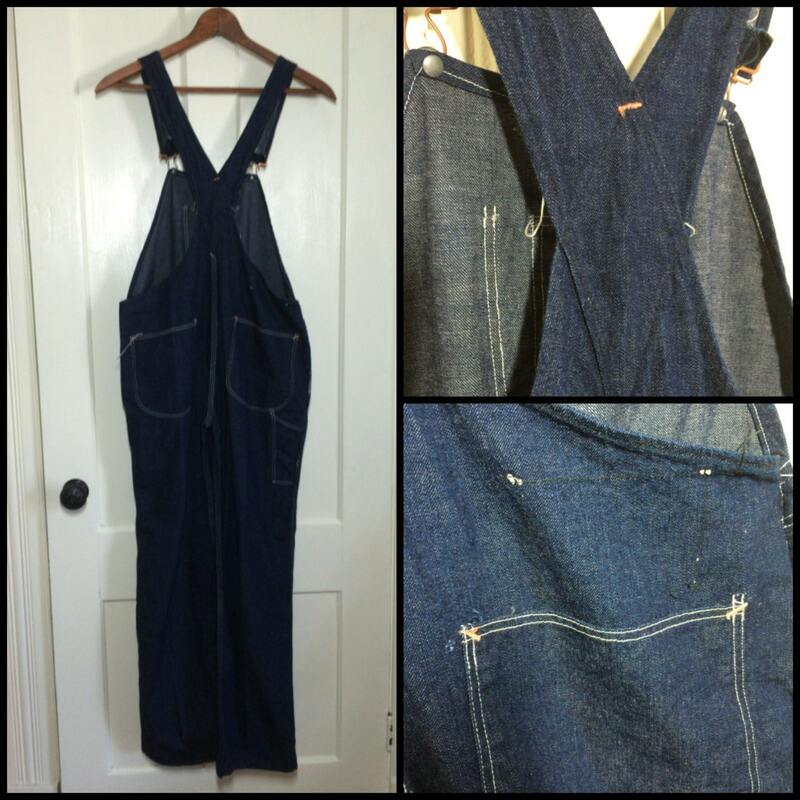 Here's a pair light weight, cotton denim overalls from the 1920's-1930's. 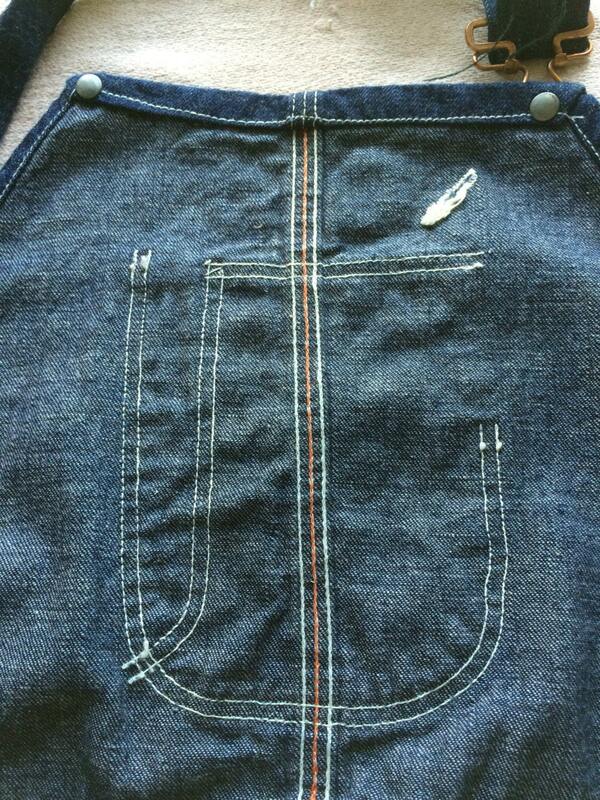 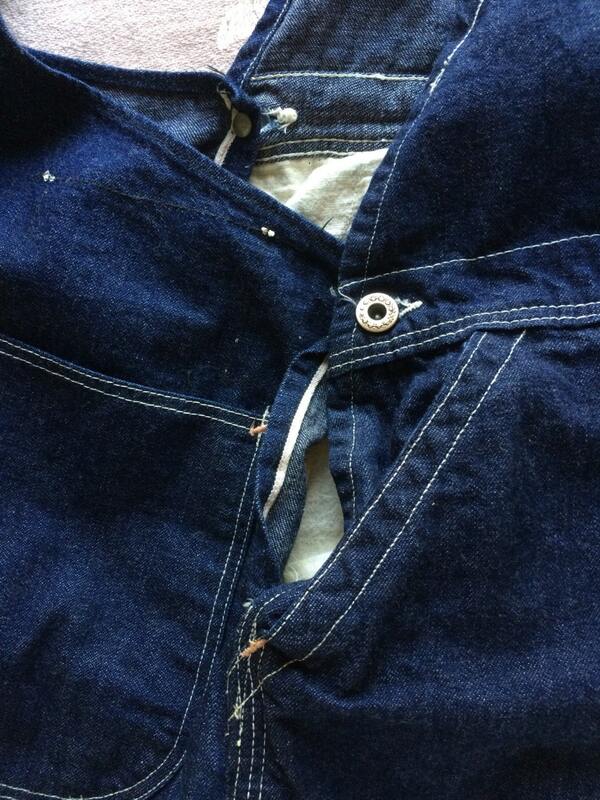 They have copper hinged hardware for the straps, donut hole buttons, indigo denim and selvedge at the sides. 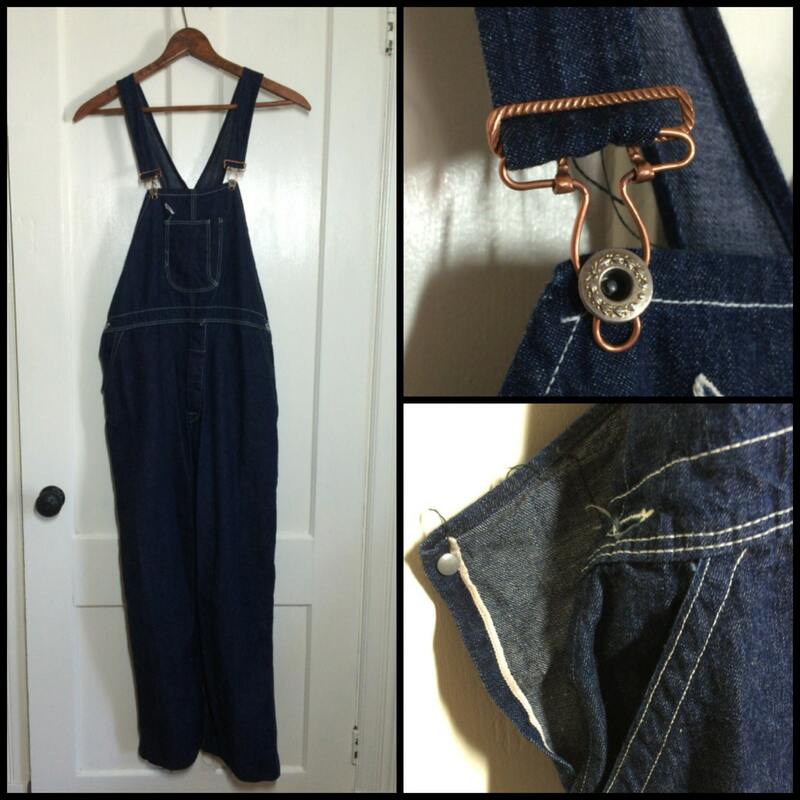 They're in excellent, used condition, no damage.